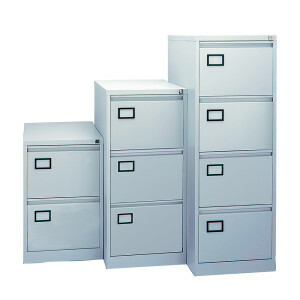 More great value without compromise on style and security from the AOC contract filing cabinet. 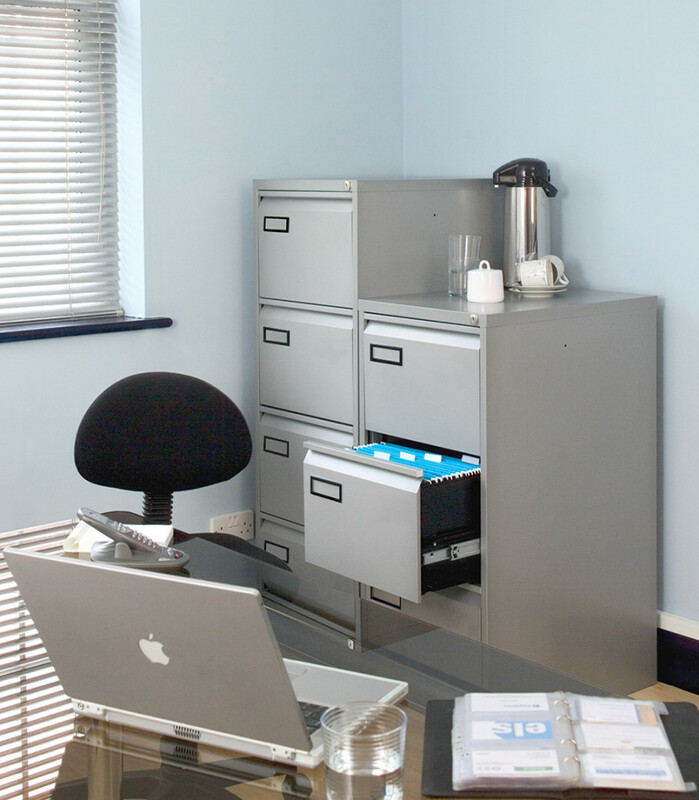 A mastered lock, label holders and full drawer extension all feature, while a textured paint finish enhances the look of quality. The BS cabinet is strong and quiet. 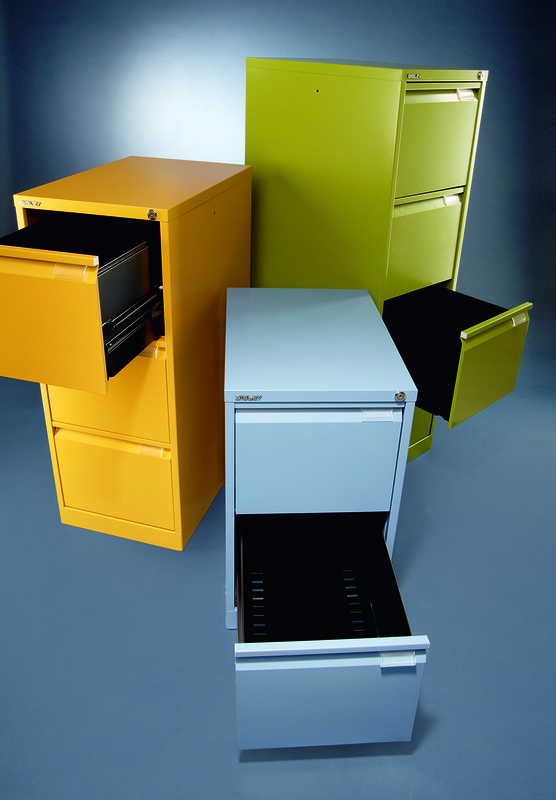 Its fully-welded carcase makes it suitably robust, while roller bearing slides ensure ultimate ease of use; a ‘positive closing device’ allows the drawer to close with precision, from the lightest of touches. 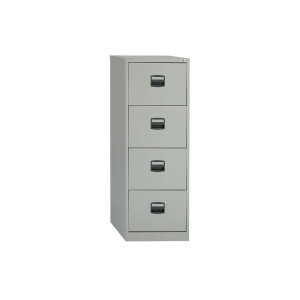 It comes in two, three, four and five-drawer versions and a choice of fronts – classic (with neat polished handle) or flush (with finger-pull action) in either A4 or Foolscap dimensions. 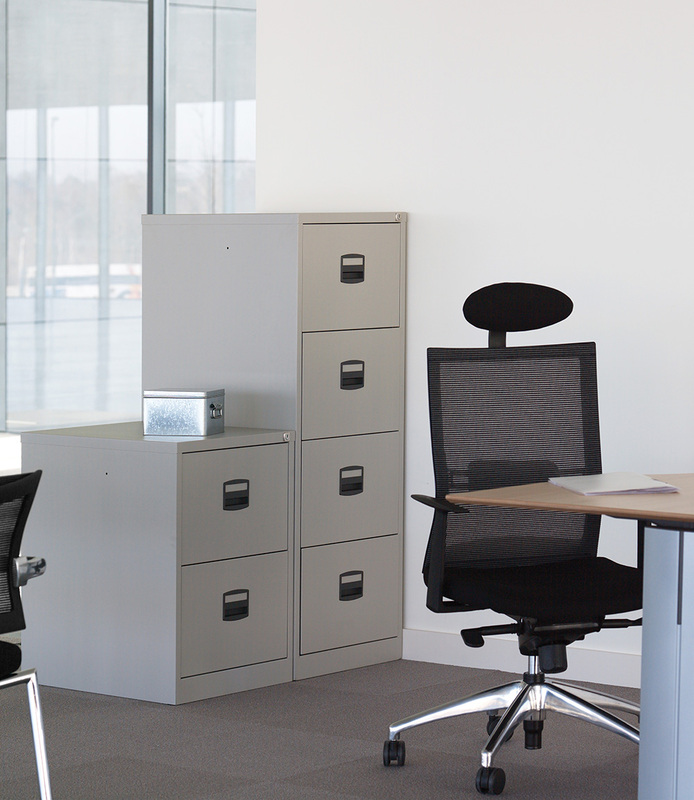 Safe and efficient, the CC filing cabinet ticks the required boxes for any responsible office set-up without scrimping on design quality. 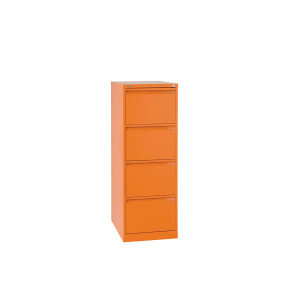 It is one of the most popular products in Bisley’s ‘storage essentials’ range on account of its affordability and no-nonsense aesthetic.